Funeral home marker was laying on ground. 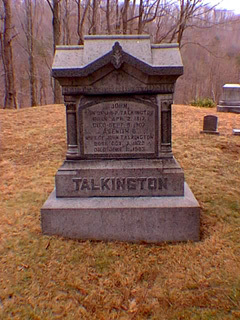 This cemetery is located South of Folsom on Rte 20. Go to the top of Folsom Hill and the cemetery is located about 500 feet up the hill on the right by the Pine Trees. 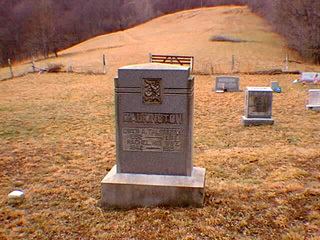 This cemetery is located on the Wetzel/Harrison County line. Cemetery read by Louie Straight and Bill Cunningham 11 Mar 2001. Additional information provided by Karen Hucko.